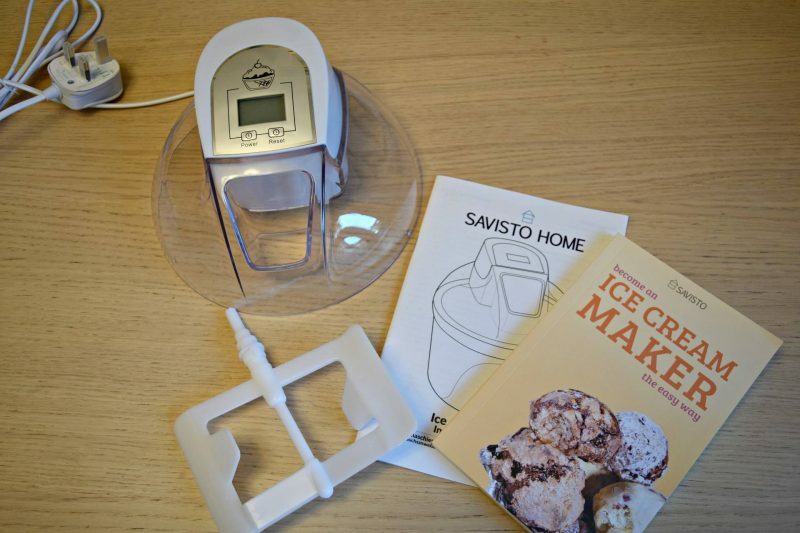 We were recently sent the Savisto ice cream maker to try out. 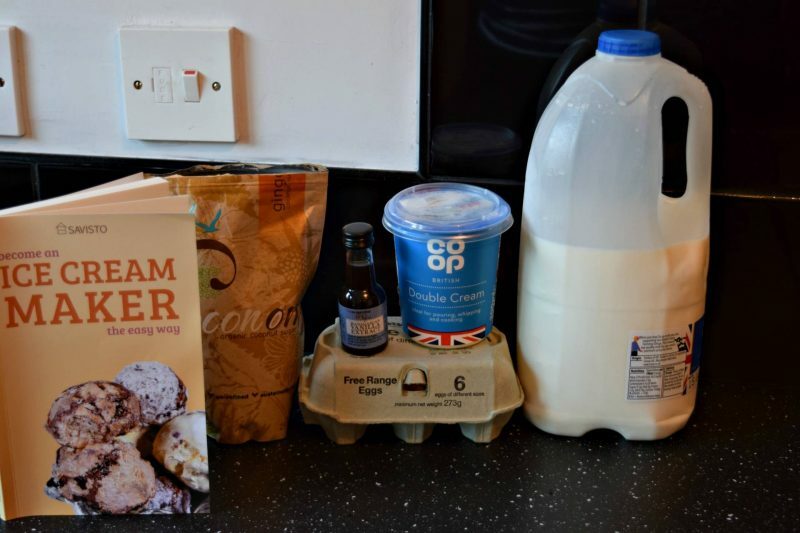 I’ve always quite fancied an ice cream maker, I love the idea of being able to create my own concoctions and knowing exactly what ingredients have gone into it. When the Savisto Ice Cream maker arrived I was very pleasantly surprised by how small and compact it was. I was expecting a huge beast of a machine but this actually fits neatly on my work bench when it’s in use and slips away discreetly into a cupboard when not. The box contains the machine itself and a plastic paddle which is inserted into the lid. 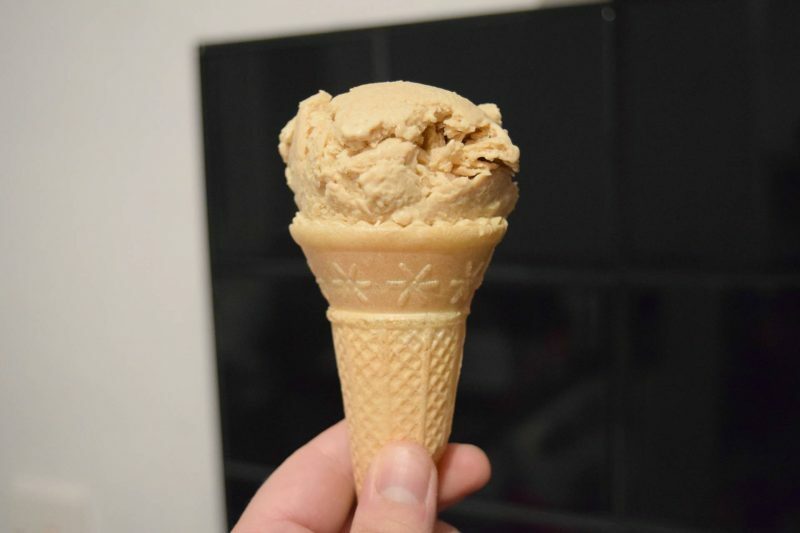 There’s also a 133 page recipe book which contains numerous ice cream, sorbet and sauce recipes, all of which can be made using the Savisto ice cream maker. 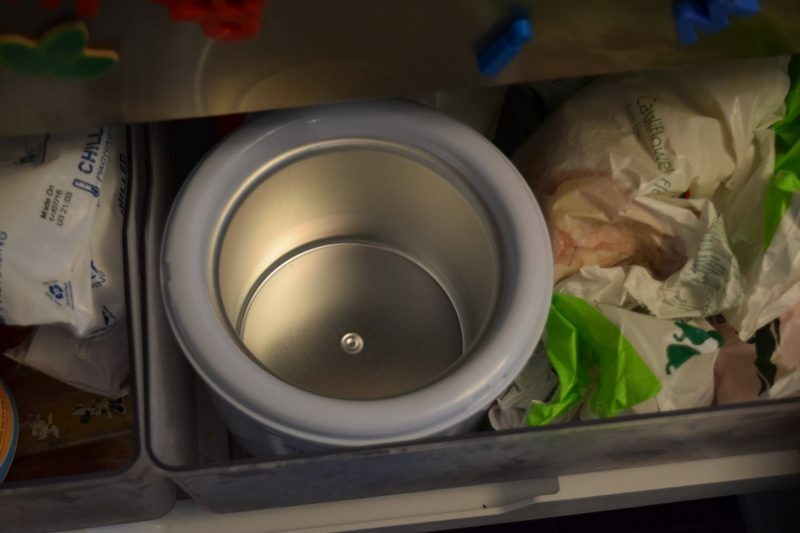 The ice cream maker has a 1.5 litre capacity freezing bowl and will slide nicely into most freezer compartments. It’s worth noting that the bowl does need to be frozen overnight before use so making your ice cream won’t be a spontaneous decision. To make your ice cream, the first thing you’ll need to do is mix the cream and milk together over a low heat. Before the mixture starts to boil, remove it from the heat and add the vanilla essence. Once it’s mixed you’ll need to leave it to infuse for 30 minutes. The next step is mixing the eggs with the sugar. 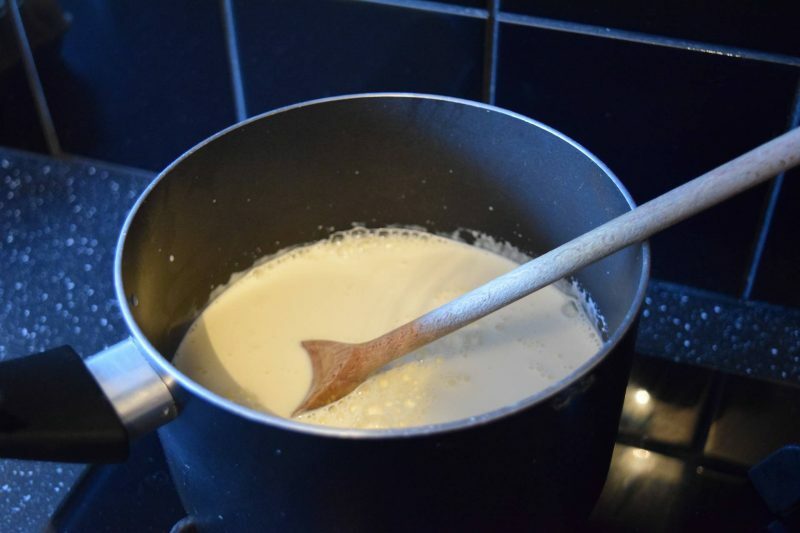 You gradually stir in the milk and cream before putting it back on a low heat until the thickness changes it and makes it look a little like custard. 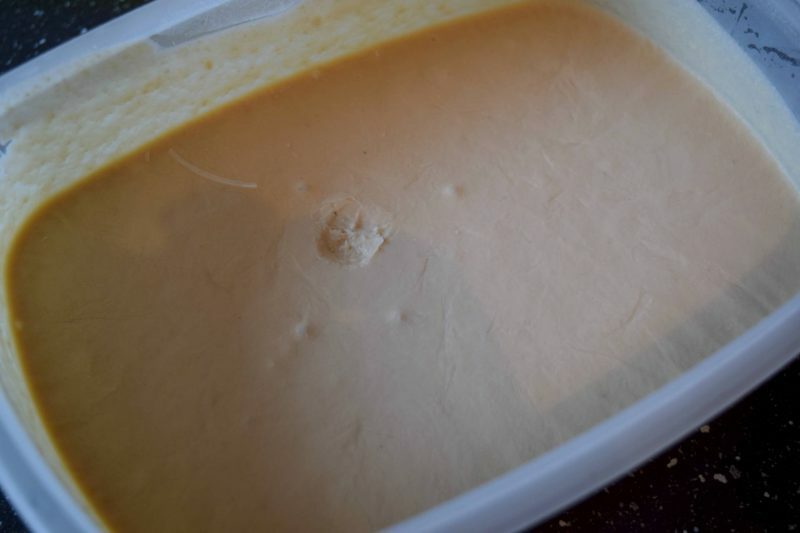 Sieve the custard into a bowl and allow to cool (I sieved into a bowl which has another bowl underneath containing ice water to speed up the cooling period). Before adding your mixture to the bowl you need to make sure the machine is turned on and your paddle is turning. 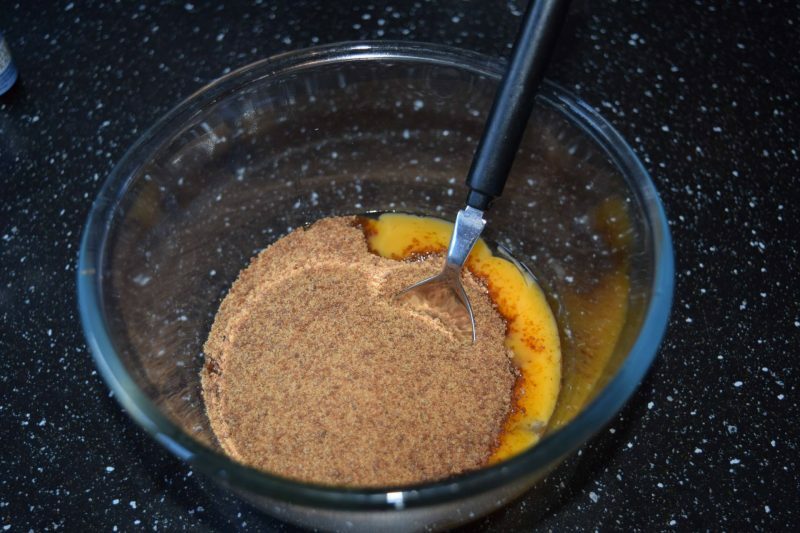 If you don’t the mixture will instantly freeze and set in the bowl. To make adding the mixture easy, the machine has a funnel built into it’s plastic lid which is wide enough to pour from either a jug or bowl. 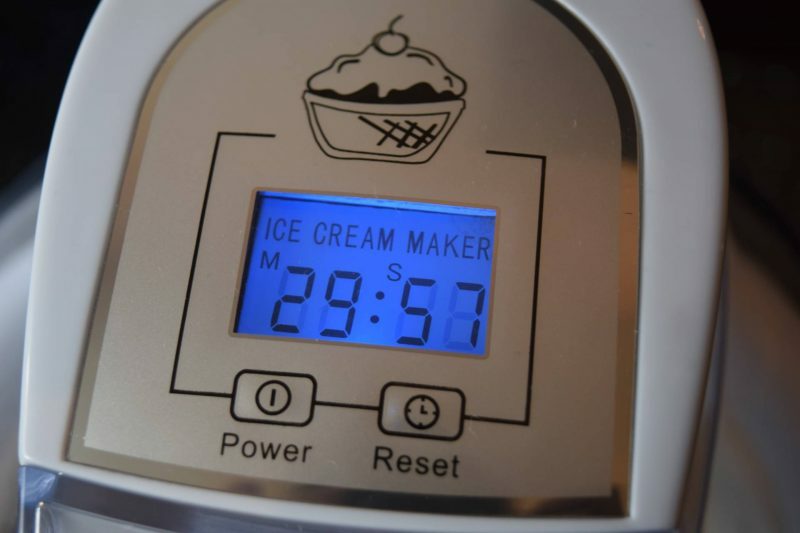 The settings on the ice cream maker are really easy to use. 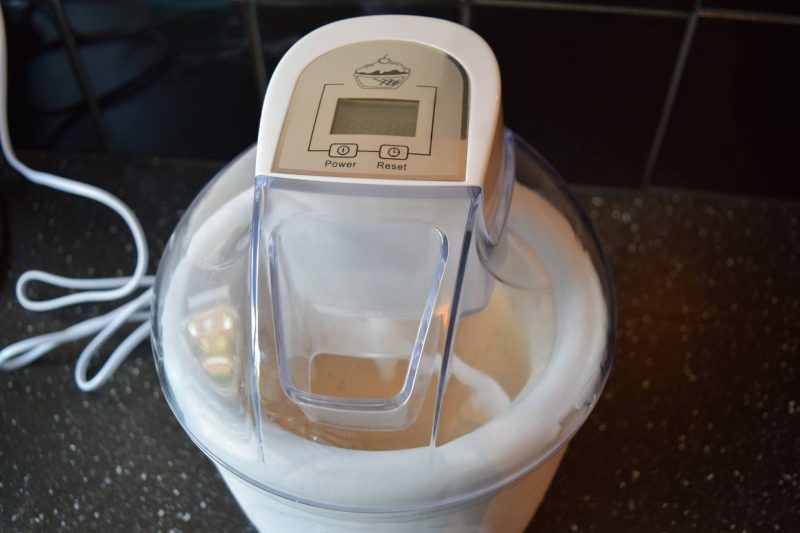 I choose to churn my ice cream for 40 minutes and you simply press the button to increase the time by five minutes at a time. The machine gives off very little noise whilst churning which was a pleasant surprise. 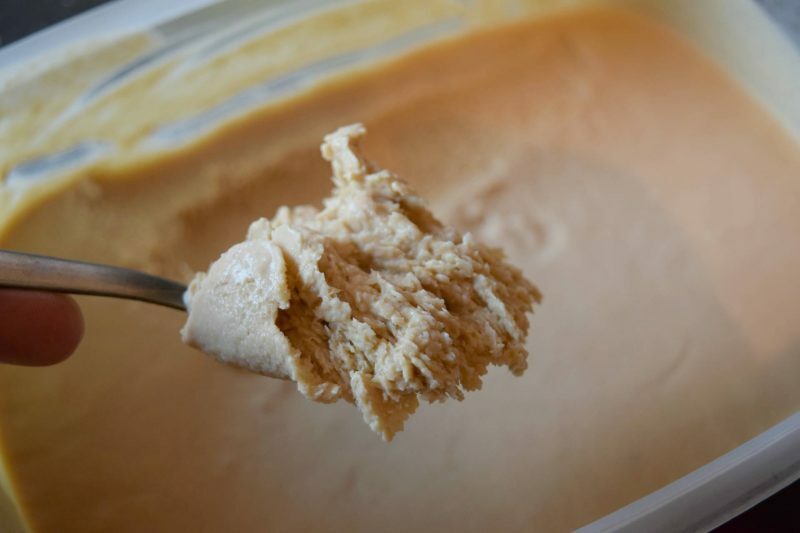 Once the mixing time is done your ice cream should have thickened and be ready to pour into a freezeable container. Pour it into a suitable box and bung it in thefreezer. I left mine for around 4 hours before trying to serve it. I was really impressed by the texture and the fact it actually looked like ice cream when it came out! The ice cream tasted much creamier than shop bought ice cream. It was rich and it tastes a amazing with chocolate fudge cake. 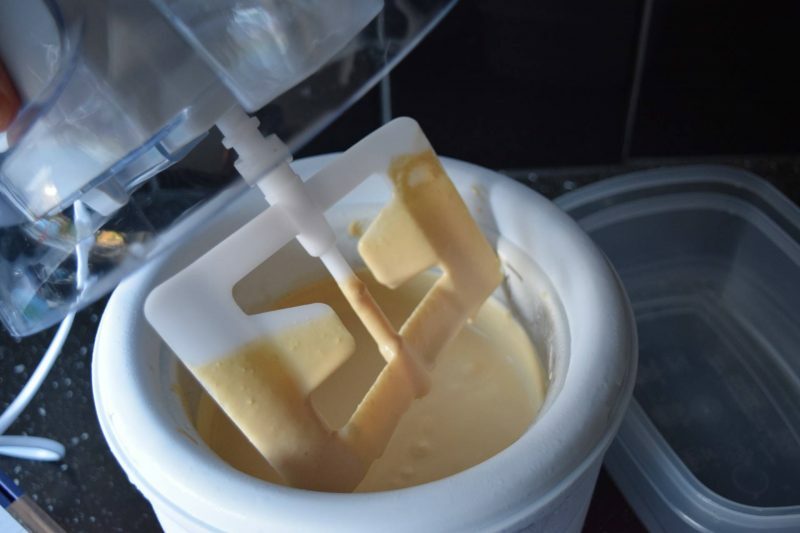 I loved how simple the Savisto Ice Cream maker was too use but the actual process is quite time consuming. I’m not really a fan of waiting, so I don’t really like the fact I have to wait for the bowl to freeze overnight. However, the little man absolutely loves helping to make ice cream and we’ll definitely be working our way through the recipe booklet. I can’t wait to try a sorbet! *We were sent the product in return for an honest review.